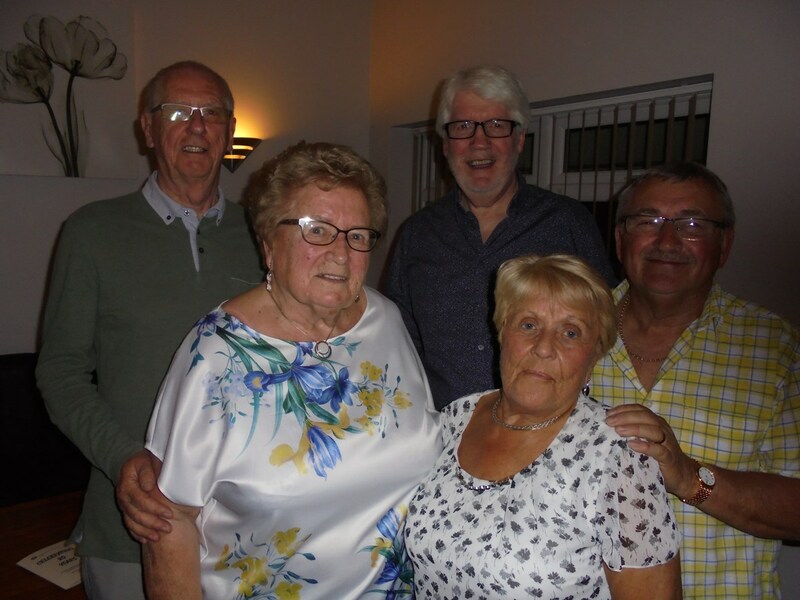 It was somehow appropriate that 80 or so players, supporters and guests joined together this weekend at Firs Park, Little Clacton to recognise 80 years of local League table tennis with a celebration buffet and dance. It was back in 1938 that the Clacton and District Table Tennis League was formed. At the time, there was just one Division but it ran for only two seasons before the Second World War caused operations to be suspended until 1947. "I feel very proud to have been part of the League for over half of its life," Chairman Peter White told those present. Peter, a Management Committee member since 1977 and the League's first-ever Tournament Officer, said the number of players had remained steady in recent seasons. He particularly thanked Felipe Rodriguez and his Junior Coaching Team, and Ferdy Rodriguez, who organises the annual 'Come and Try' sessions, for bringing new players into local table tennis. The League was especially fortunate to have some talented juniors who, without exception, are a credit to the League both on and off the table. Peter said it was also gratifying Clacton continued to be acknowledged as one of the most successful and friendly Leagues in the County. Significantly, it also boasts one of the largest proportions of female players in the area. He also thanked the loyal members of the Management Committee for their time-consuming work which ensures the League continues to operate efficiently and effectively. Peter concluded by urging everyone in the League to help promote the sport. "Keep doing what you are doing," he said. "Enjoy your table tennis and encourage new players, young and old, to join our League." Presentations were made to the evening's special guests, Shirley Rowlen (League President), Sheila Howe (Honorary Life President) and Paul Newbould (Honorary Life Member).